Rumour No. 1: Reported Arsenal target Andre-Pierre Gignac has been told by his current club Toulouse that he will ‘not be allowed’ to leave during January. The striker has been struggling for goals this season (Gignac has only scored five goals this season after finishing top goalscorer in Ligue 1 last time out) but is still a key member of the French outfit’s squad and the top brass have the let the forward know that he will not be going anywhere during the transfer window. The old ‘super-glue on the gloves’ trick strikes again! Rumour No. 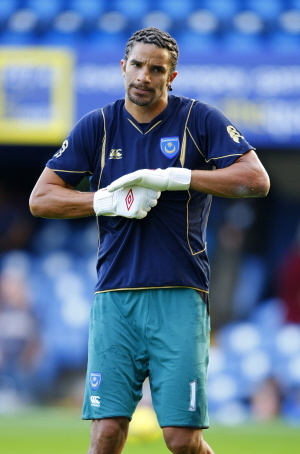 2: England ‘keeper David James is on the verge of finalising his move from Portsmouth to Stoke. The veteran stopper is to have a medical at The Britannia either tonight or tomorrow morning and is hoping to be registered in time for Stoke’s FA Cup clash with Arsenal on Sunday. The Best of the Rest: AC Milan are weighing up a swap move for Liverpool winger Ryan Babel (it wouldn’t be the round up without his name being mentioned at least once) with Klaas-Jan Huntelaar going the other way. Portsmouth have accepted Newcastle United’s bid for defender Mike Williamson and the former Watford centre back is currently having a medical at St. James Park. Birmingham have made a £1.8 million for Aston Villa right back Habib Beye. Brum boss Alex McLeish has also confirmed the club’s interest in Rangers striker Kris Boyd. The Scottish forward held talks with local rivals Aston Villa yesterday. Manchester United reject Zoran Tosic has been allowed to join 1. FC Köln on loan until the end of the season today. Wolfsburg are to pip Celtic and Everton to the signing of Arsenal defender Philippe Senderos. Portsmouth midfielder Hassan Yebda has admitted that an offer from Paris Saint Germain may be to good to turn down. Wigan Athletic have bid £5 million for Villarreal’s Argentinian striker Marco Ruben despite the forward having only played in the B team this season. Nolerto Solano has joined Leicester City today on a short term deal. The Peruvian was on the verge of resigning for Newcastle last week but has chosen a move to the Midlands instead. Juventus are lining up a €20 million bid for one-time Chelsea target Giampaolo Pazzini, currently at Sampdoria.